Our recent cruise vacation has me really motivated to stay in tip-top shape-nothing like bikini weather to do that right? 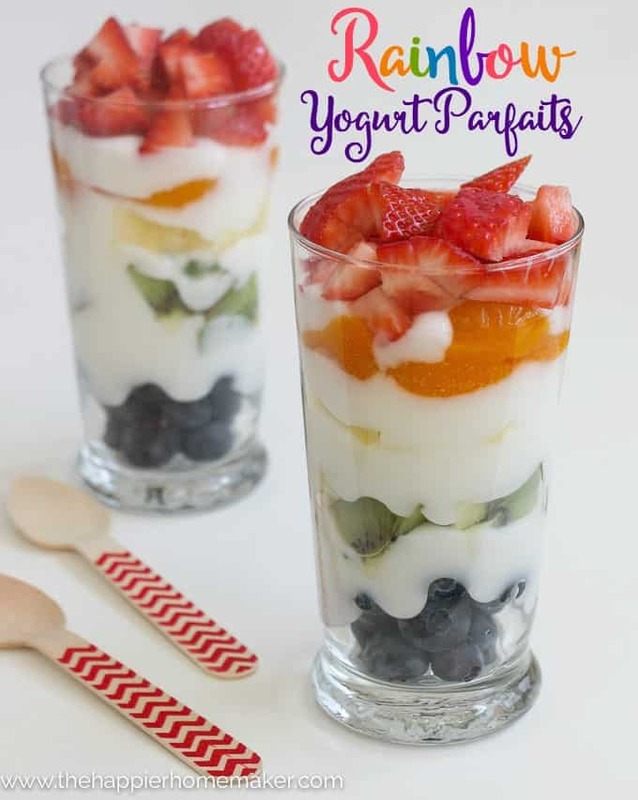 I have been trying to get more creative with my breakfasts and snacks lately so I made these amazingly delicious Rainbow Yogurt Parfaits that our entire family gobbled right up! 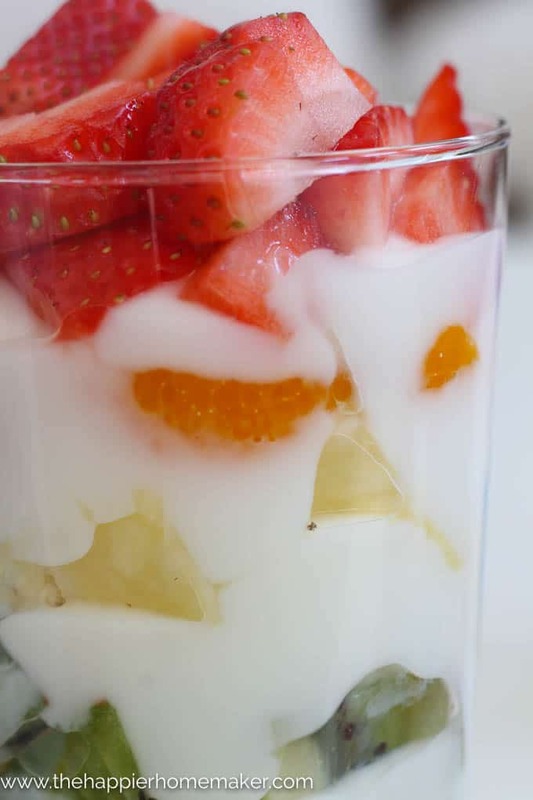 I chopped my strawberries, kiwi, and pineapple into small, bite size pieces and drained my mandarin oranges before layering the fruit with yogurt in a tall glass. Some of the other fruits we’ve made these with are bananas, grapes, blackberries, and chopped cantaloupe, it’s so easy to customize it to your personal taste! It looks so pretty layered with all the colors doesn’t it? It was a totally filling and flavor packed breakfast-made all the better because it’s helping me with my fitness goals and keeping me on track! 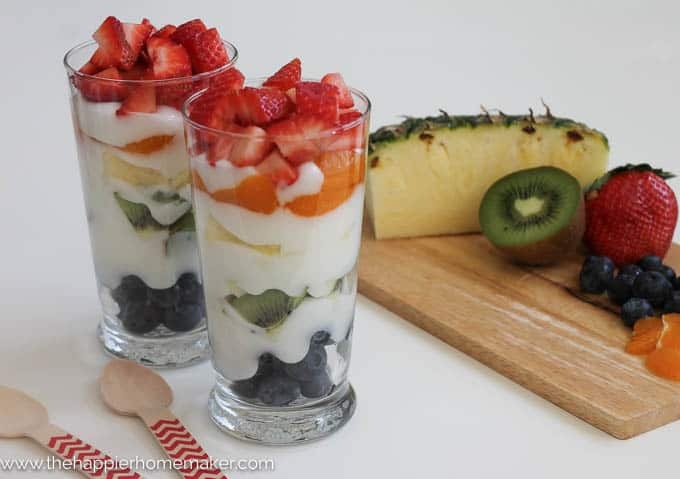 What are your favorite yogurt snacks?